Summary: Gulf World Marine Institute, Inc. staff responds to live stranded sea turtles along the coast of the Gulf of Mexico in Florida Panhandle. GWMI is proposing a grant project under the Category of Conservation Grant Application to purchase software to upgrade our existing digital radiograph software. Radiographs are essential in rehabilitation efforts in order to properly assess disease states in turtles entering into rehabilitation. By awarding GWMI this grant, operations that benefit both State and Federal sea turtle program goals would be enhanced. Results: On May 21,2015 the Konica CR Image Pilot software was purchased for an upgrade. 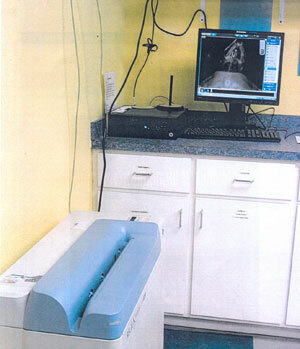 The system was installed and used to radiograph stranded turtles. Since purchasing the upgrade system, GWMI has radiographed 10 turtles. Several of these animals were found to half fishing hooks internally, which were removed. Other animals were found to have trauma or systemic disease.